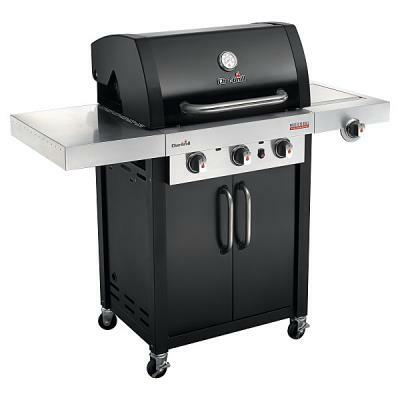 The Grandhall Premium GT3 is a stunning 3 burner gas barbecue island that offers excellent performance. It's an outdoor kitchen that suits all lifestyles. The Grand Hall premium GT3 has got what it takes to provide a great bbq experience. It has three high performance, powerful burners which are ignited by electronic push button ignition. The burners sit under porcelain finish flame tamers with porcelain coated cast-iron cooking grids and a reversible cast iron porcelain coated hot plate & griddle included with the BBQ, all this porcelain makes for easy cleaning! 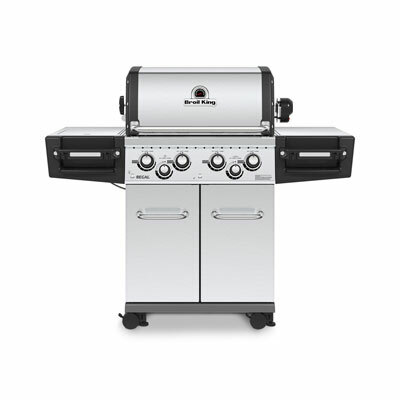 This barbecue also benefits from a powerful 4.5 Kw side burner. The main cart is made from steel & 430 grade stainless steel providing a quality finish on all visible surfaces, within the cart is space for your gas cylinder and accessories hidden behind the double doors. 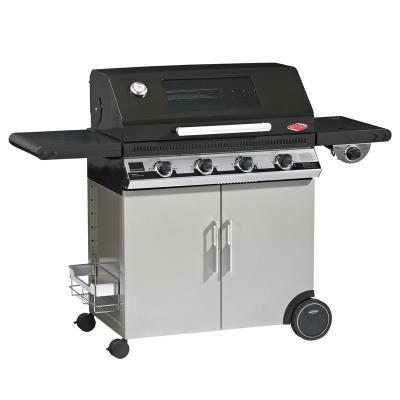 The lid of the BBQ has an integrated temperature gauge allowing you to accurately control the heat when roasting and also has a handy warming rack.